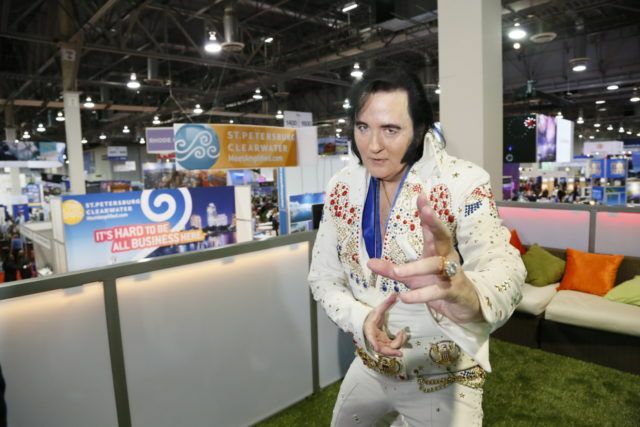 Las Vegas is this week hosting IMEX America, a must for all the meeting planners and business on an international scale that features the largest Hosted Buyer Program in North America and attracts thousands of buyers and exhibitors from the U.S. and around the world. This year the Conventa trade show team for the first time also visited the event and presented Conventa, the best South-Eastern Europe trade show for meetings, events and incentive travel. Already 9 years in a row, Conventa trade show as the leading business-to-business event for South-East Europe, offers an amazing and extremely valuable opportunity for every business tourism oriented company from the region. IMEX America is definitely a place to gain new knowledge and connections, together with Conventa philosophy that focuses on all year promotion, socializing and always trying to find even better ways to present the trade show to international Exhibitors and Hosted Buyers. Ever since IMEX America first event in Las Vegas in 2011, the trade show already won some prestigious industry awards, including Trade Show Executive’s FASTEST 50 2012, Best International Launch—Exhibition News Awards 2012, Bronze Award-Advertising Campaign—Hospitality Sales & Marketing Association International (HSMAI) 2012 Adrian Awards and many others. This comes as no surprise, since IMEX America uses all the resources and knowledge from IMEX Group of Exhibitions which also organizes the award-winning IMEX Frankfurt Exhibition. In 2015 the IMEX America showed some amazing statistics and numbers prove that the event is truly one of the best in its kinds. Last year the trade show had 10,935 total show visitors across 3 Days (Hosted buyers and attendees), 57,000 Prescheduled Appointments Plus 9,700 Buyers in Group Appointments and hosted 3,030 Hosted Buyers from 54 Countries.